What the Beatles were to the ’60s, Led Zeppelin were to the ’70s: a band so successful and innovative they wound up creating the prism through which their entire epoch was seen. Zeppelin ushered in the era of album rock — they refused to release singles off their albums, even when they were garnering massive radio play — and of arena rock, playing ever-larger stadiums as their ticket sales skyrocketed. 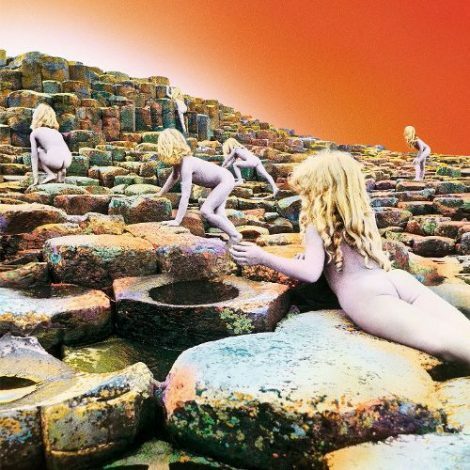 Other bands played on a similar field but Led Zeppelin carried a unique mystique cultivated by cryptic album art, distance from the press, and, of course, their music. Drawing upon postwar electric blues, early rock & roll, and psychedelia, Zeppelin created a titanic roar in their earliest days but even then they weren’t merely heavy. Underneath the wattage, there was a strong undercurrent of folk-rock and the quartet would soon thread in world music, funk, country, and synthesizers, creating an adventurous body of work that had a long, lasting influence on hard rock, heavy metal, and alternative rock. Quite a feat for a band whose origins lie in the ashes of the pioneering British rock band the Yardbirds. Jimmy Page, a guitarist who made his reputation as a session man in the ’60s, joined the band in 1966, functioning as the replacement for bassist Paul Samwell-Smith, but he soon split lead guitar duties with Jeff Beck and took over that position entirely once Beck departed. Page contributed heavily to the band’s final album, 1967’s Little Games, which also saw contributions from John Paul Jones, a bassist and string arranger who also ran in the same studio circles as Page; the two played on Beck’s 1966 single “Beck’s Bolero,” which also featured Keith Moon. Under the direction of their new manager Peter Grant, the Yardbirds supported the album with a tour of the United States, but the group was in its final days. Just before the band’s dissolution, Page filled the time with session work, including a spring 1968 session where he played on Jones’ arrangement of Donovan’s “Hurdy Gurdy Man.” During the sessions, Jones requested to be part of any future project of Page’s. 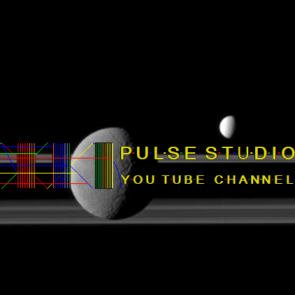 This future project materialized quickly. 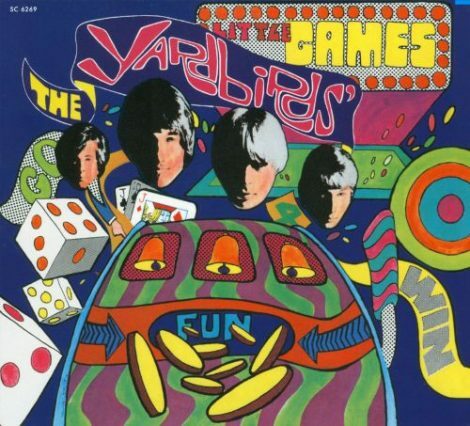 In the summer of 1968, the Yardbirds’ Keith Relf and James McCarty left the band, leaving Page and bassist Chris Dreja with the rights to the name, along with the obligation of fulfilling an upcoming fall tour. Page set out to find a replacement vocalist and drummer. Initially, he wanted to enlist singer Terry Reid and Procol Harum’s drummer B.J. Wilson, but neither musician was able to join the group. Reid suggested that Page contact Robert Plant, who was singing with a band called Hobbstweedle. After hearing him sing, Page asked Plant to join the band in August of 1968, the same month Chris Dreja dropped out of the new project. Following Dreja’s departure, John Paul Jones joined the group as its bassist. Plant recommended that Page hire John Bonham, the drummer for Plant’s old band, the Band of Joy. Bonham had to be persuaded to join the group, as he was being courted by other artists who offered the drummer considerably more money. By September, Bonham agreed to join the band. Performing under the name the New Yardbirds, the band fulfilled the Yardbirds’ previously booked Scandinavian engagements in late September 1968. The following month, they recorded their debut album in just under 30 hours. Also in October, Dreja informed Page he had the rights to the New Yardbirds name for the live dates only, so the group switched its name to Led Zeppelin. Grant helped the band sign a record-setting contract with Atlantic Records in the United States before the end of the year; they were paid a reported $200,000 advance, at that date the largest sum for any new band. Early in 1969, Led Zeppelin set out on their first American tour, which helped set the stage for the January release of their eponymous debut album. Two months after its release, Led Zeppelin had climbed into the U.S. Top Ten. Throughout 1969, the band toured relentlessly, playing dates in America and England. While they were on the road, they recorded their second album, Led Zeppelin II, and that speed gave the record’s loud, riff-heavy blues a palpable urgency. Like its predecessor, Led Zeppelin II was an immediate hit upon its October 1969 release, topping the American charts two months after its release and spending seven weeks at number one. The album helped establish Led Zeppelin as an international concert attraction, and for the next year, the group continued to tour relentlessly. Led Zeppelin started to broaden their horizons with Led Zeppelin III. Recorded in a cottage in Wales and released in October of 1970, the album saw them weaving British folk into their heavy rock, a hybrid that deepened the band’s sound. Led Zeppelin III reached number one in both the U.K. and U.S. but, comparatively, sales were softer for this record than the two previous blockbusters; it never earned a platinum certification in the U.K. but, over the years, it went platinum six times in the U.S., a sign of its reputation as one of band’s most distinctive records. 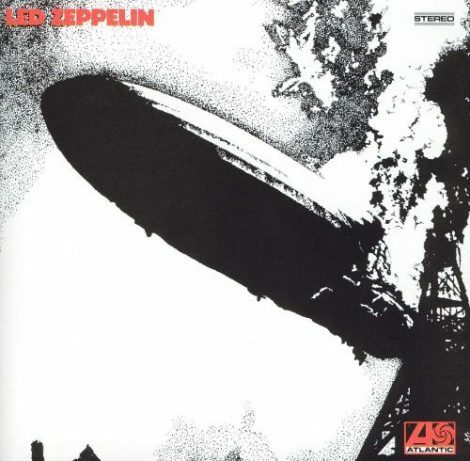 Despite Zeppelin’s stated aversion to singles, they did support III with the release of “Immigrant Song” as a 7″ in the States, backed with the non-LP “Hey, Hey What Can I Do,” their only B-side to not appear on an album. Led Zeppelin didn’t tour as heavily behind Led Zeppelin III as they did Led Zeppelin II, but they were well on their way to consolidating their status as one of the most popular attractions in rock. Their next record, an untitled record commonly referred to as Led Zeppelin IV, cemented that reputation. Released in November 1971, Led Zeppelin IV merged the heavy blues of II with the folk mysticism of III and at the crossroads of those two extremes lay “Stairway to Heaven,” an eight-minute epic that encapsulated much of Zep’s majesty. “Stairway to Heaven” was an immediate radio hit, eventually becoming the most played song in the history of album-oriented radio; the song was never released as a single. Despite the fact that the album never reached number one in America, Led Zeppelin IV was their biggest album ever, selling well over 37 million copies over the next four decades. Led Zeppelin supported Led Zeppelin IV with their biggest tour to date — biggest according to size, not dates. All around the world they made the leap into stadiums and sports arenas, pioneering a circuit that became commonplace later in the decade, leaving legends of excess along the way. After completing their 1972 tour, they retreated from the spotlight and recorded their fifth album, Houses of the Holy. Appearing in March 1973, Houses of the Holy found them weaving in touches of funk and reggae amidst their crunching rock and seven-minute epics. Once again, Zeppelin had another smash album on their hands and its success led to an American tour that broke box-office records — most of which were previously held by the Beatles. The band’s tour culminated in a three-night stand at New York’s Madison Square Garden in July 1973, a stint that was filmed and released as the concert film The Song Remains the Same in 1976. Following this record-breaking tour, Led Zeppelin spent a quiet year during 1974, releasing no new material and performing no concerts. They did, however, establish their own record label, Swan Song, which released all of Led Zeppelin’s subsequent albums, as well as records by Dave Edmunds, Bad Company, the Pretty Things, and several other acts. Physical Graffiti, a double album released in February of 1975, was the band’s first release on Swan Song. The album was an immediate success, topping the charts in both America and England. Led Zeppelin launched an international tour with a five-night stint at London’s Earls Court but on the eve of the American leg that fall, Robert Plant and his wife suffered a serious car crash while vacationing in Greece. The tour was canceled and Plant spent the rest of the year recuperating from the accident. As Plant recovered, the band headed to Malibu to record a new album. The resulting Presence appeared in the spring of 1976 and while it debuted at number one in both the U.S. and U.K., sales lagged slightly, possibly due to the band’s decision not to tour in support of the album. Instead, they released the film The Song Remains the Same, which appeared in the fall of 1976; its soundtrack peaked at number one in the U.K. and number two in the U.S. Zeppelin finally returned to the stage in the spring of 1977 with a tour of the United States (the U.K. was off limits, as the band decided to take a tax exile). The concerts raked in money but nearly three months into the tour, Plant’s six-year-old son Karac died of a stomach infection. Led Zeppelin immediately canceled the tour and offered no word whether or not it would be rescheduled, causing widespread speculation about the band’s future. For a while, it did appear that Led Zeppelin were finished. Robert Plant spent the latter half of 1977 and the better part of 1978 in seclusion. The group didn’t begin work on a new album until late 1978, when they began recording at ABBA’s Polar Studios in Sweden. A year later, the band played a short European tour, performing in Switzerland, Germany, Holland, Belgium, and Austria. In August of 1979, Led Zeppelin played two large concerts at Knebworth; the shows were their first English performances in four years and would be their last English concerts. 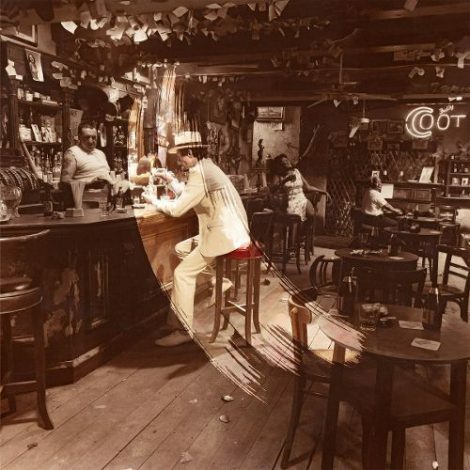 In Through the Out Door, the band’s much-delayed eighth studio album, was finally released in September of 1979. The album entered the charts at number one in both America and England. In May of 1980, Led Zeppelin embarked on their final European tour. In September, they began rehearsing at Jimmy Page’s house in preparation for an American tour. On September 25, John Bonham was found dead in his bed — following an all-day drinking binge, he had passed out and choked on his own vomit. In December of 1980, Led Zeppelin announced they were disbanding, since they could not continue without Bonham. Following the breakup, the remaining members all began solo careers. John Paul Jones returned to producing and arranging; for years, he remained in a behind-the-scenes capacity, waiting until 1999 to release his solo debut, Zooma. After recording the soundtrack for Death Wish II, Jimmy Page compiled the Zeppelin outtakes collection Coda, which was released at the end of 1982. That same year, Robert Plant began a solo career with Pictures at Eleven. In 1984, Plant and Page briefly reunited in the all-star oldies band the Honeydrippers. After recording one EP with the Honeydrippers, Plant returned to his solo career and Page formed the Firm with former Bad Company singer Paul Rodgers. In 1985, Led Zeppelin reunited to play Live Aid, supported by drummers Phil Collins and Tony Thompson, sparking off a flurry of reunion rumors; the reunion never materialized. In 1988, the band re-formed to play Atlantic’s 25th anniversary concert, this time playing with John Bonham’s son, Jason. 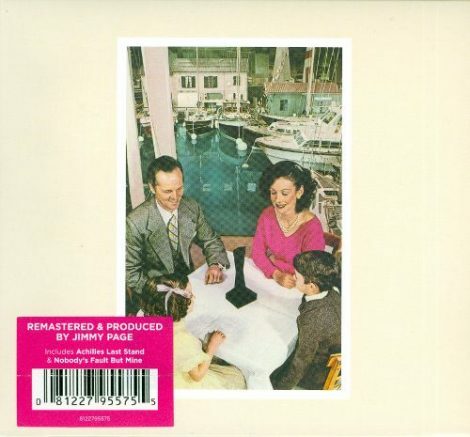 During 1989, Page remastered the band’s catalog for release on the 1990 box set Led Zeppelin. At the time, the four-disc set became the biggest-selling multi-disc box set of all time, which was followed up three years later by another box set, the mammoth ten-disc set The Complete Studio Recordings. 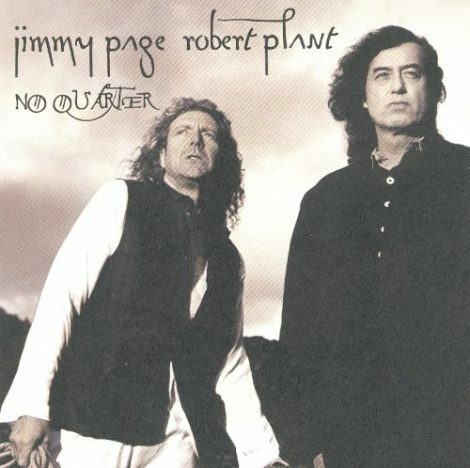 In 1994, Page and Plant reunited to record a segment for MTV Unplugged, which was released as No Quarter in the fall of 1994. Although the album went platinum, the sales were disappointing considering the anticipation of a Zeppelin reunion. The following year, Page and Plant embarked on a successful international tour, which eventually led to an all-new studio recording in 1998, the Steve Albini-produced Walking into Clarksdale. Although it received some positive reviews, the album wasn’t a massive hit — it went gold only in America — and Page and Plant ended their union shortly thereafter; Page went on to tour with the Black Crowes, while Plant resumed his solo career. 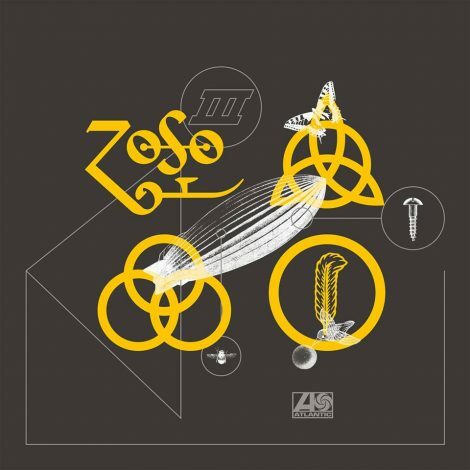 Further Zeppelin archival releases saw the light of day in the late ’90s, including 1997’s stellar double-disc BBC Sessions, plus Zep’s first official hits compilations — 1999’s Early Days: The Best Of, Vol. 1 and 2000’s Latter Days: The Best Of, Vol. 2 — and How the West Was Won, a 2003 compilation featuring live highlights from Zeppelin’s Los Angeles concerts in 1972. That same year, the band released an acclaimed 2003 double-DVD set of live performances from 1969-1979. A full reunion of the surviving members of the band, with Jason Bonham filling in for his father on drums, took place in 2007 when the group played a historic concert at London’s 02 in memory of Atlantic Records founder Ahmet Ertegun. The set was filmed and recorded, and finally appeared as a commercial release under the title Celebration Day in the fall of 2012.